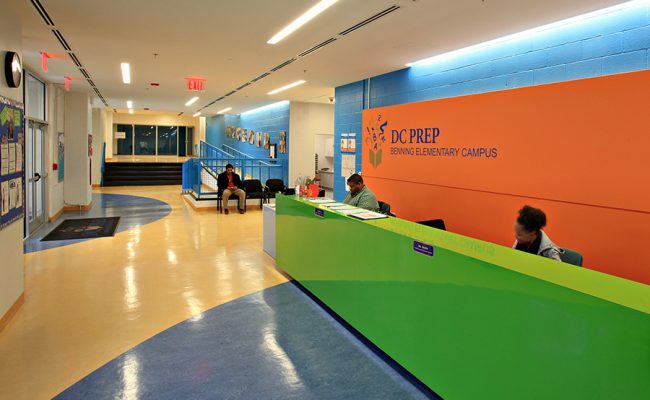 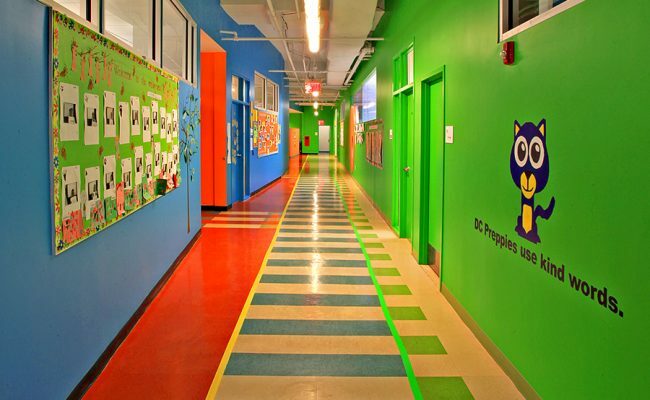 DC Prep Public Charter School at Benning is a renovation and expansion of a former Pre-k3 through middle DCPS school. 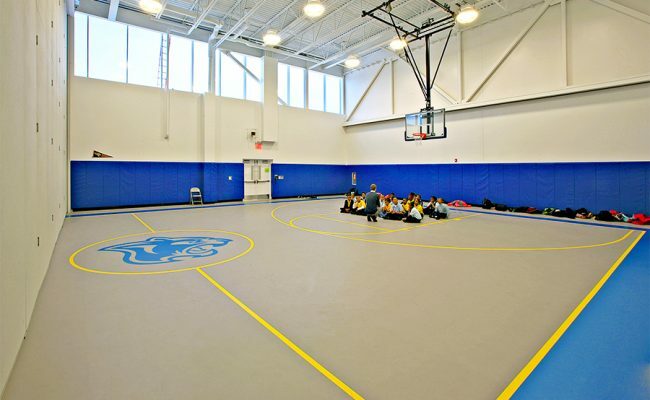 The 36,000 sft addition includes a double-height library – resource center space, new classrooms, offices, gymnasium, outdoor play areas, and parking on the lower level. 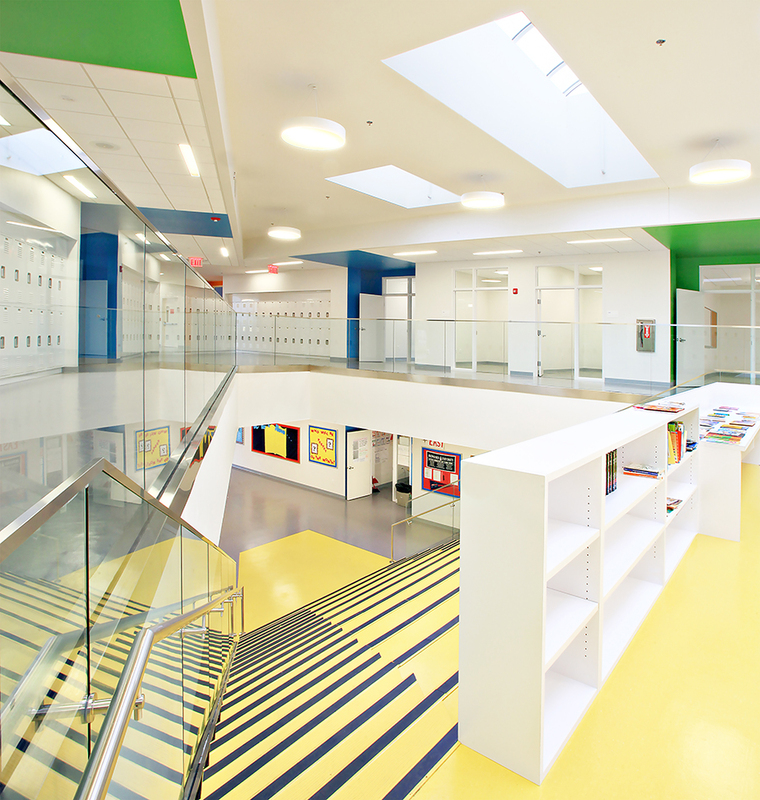 A new entrance at the existing building provides access to the elementary and middle school wings. 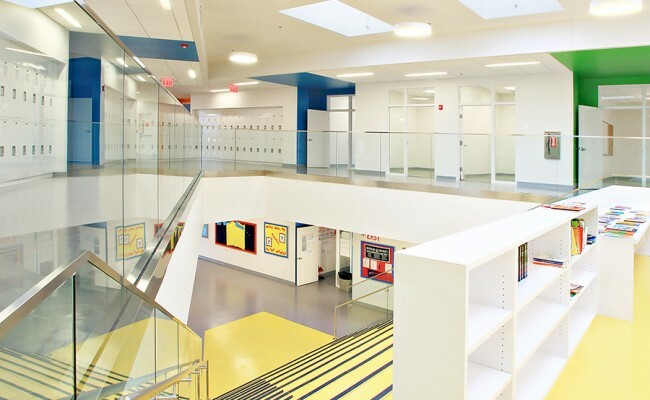 Series of skylights at the new and original portions of the building allow into the classrooms and common spaces below. 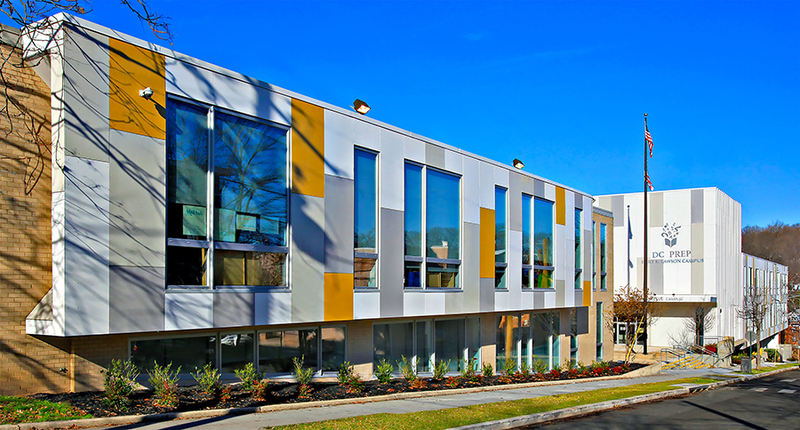 The new facade is fabricated using CBF Silbonit panels, with decorative fins accentuating the new entrance. 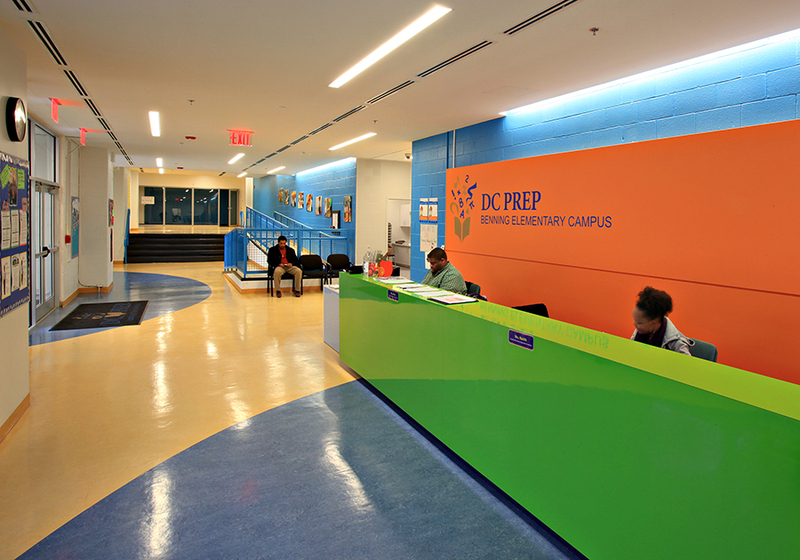 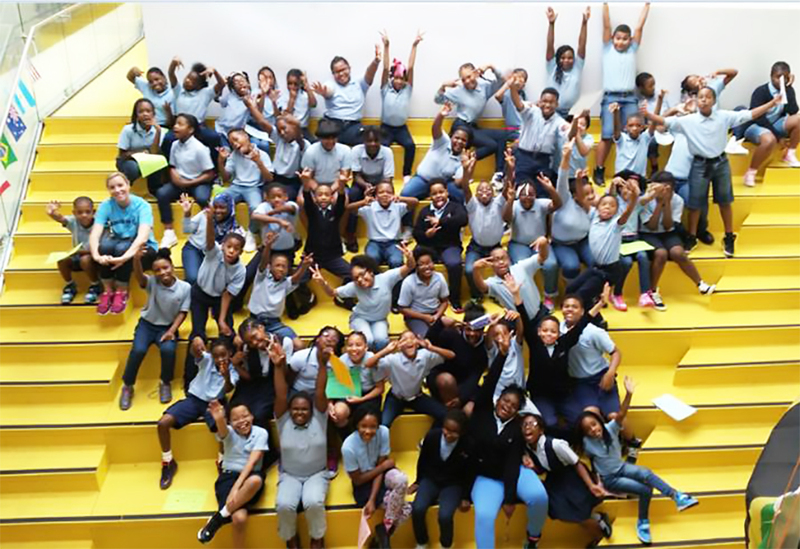 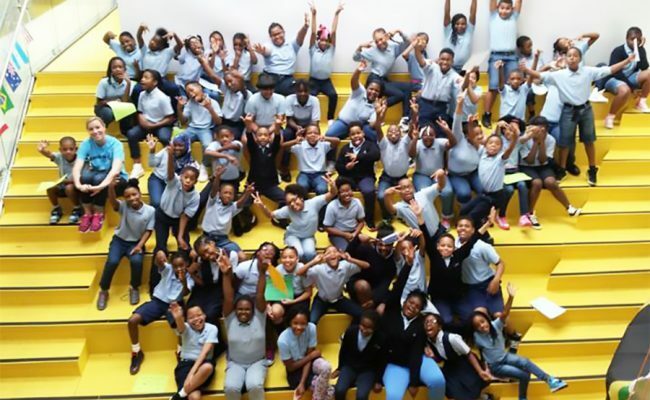 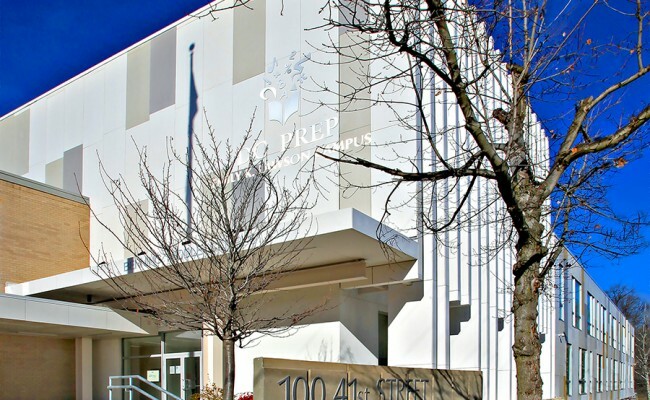 DC Prep is the highest-performing multi-campus charter school in DC. 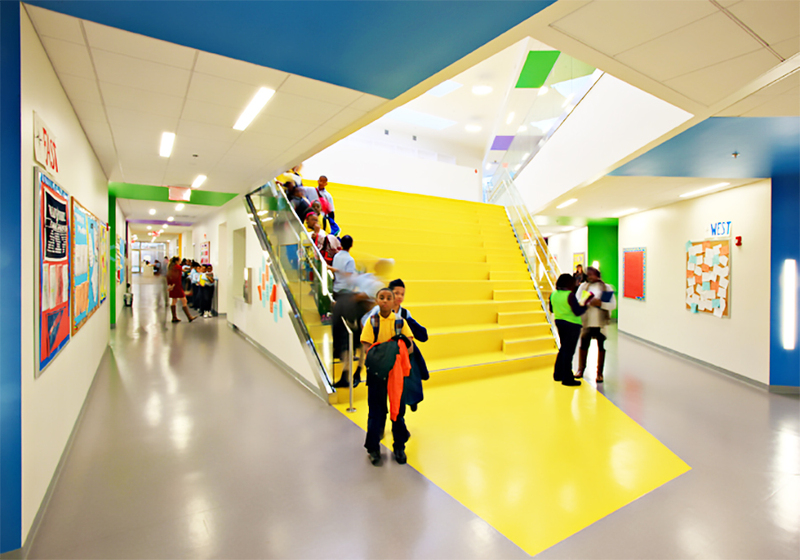 The core curriculum is “Expeditionary Learning,” a collaborative approach to learning. 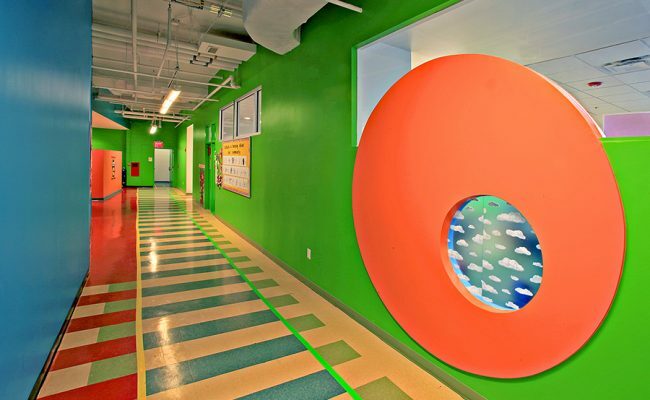 It focuses on putting the pieces together, creating a pathway to the bigger picture and to the connections between and among those bigger pictures. 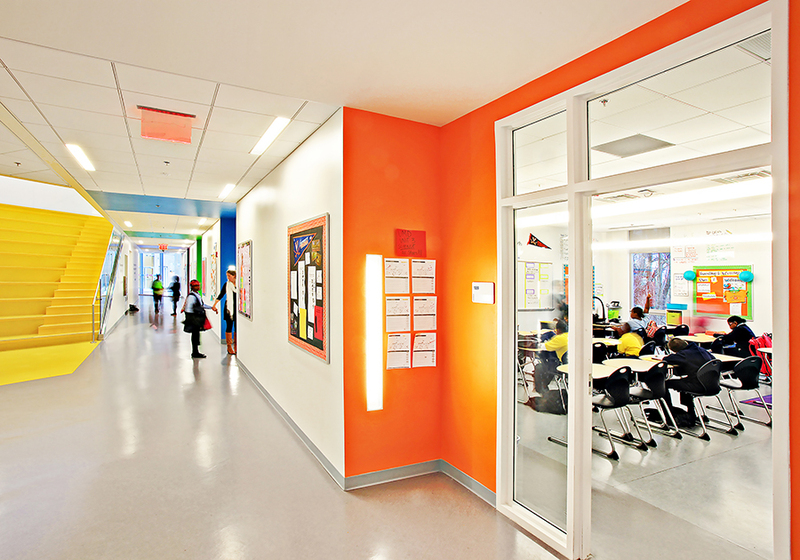 Dialogue is at the core, and so is the space for dialogue at DCPrep: The Agora. 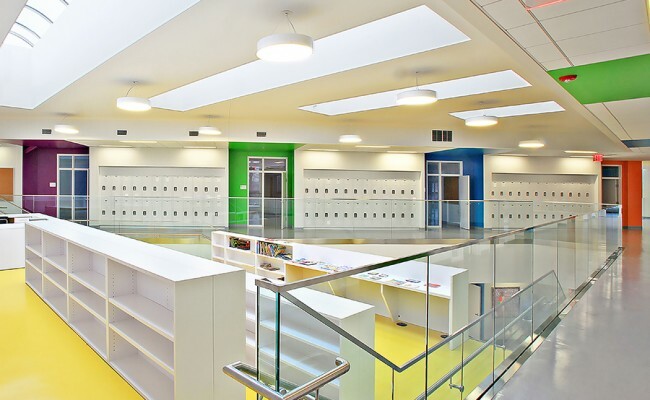 The primary learning and functional spaces are wrapped around a two-story, brightly skylit space, an interpretation of the Greek Agora, where sharing ideas was the greatest privilege. 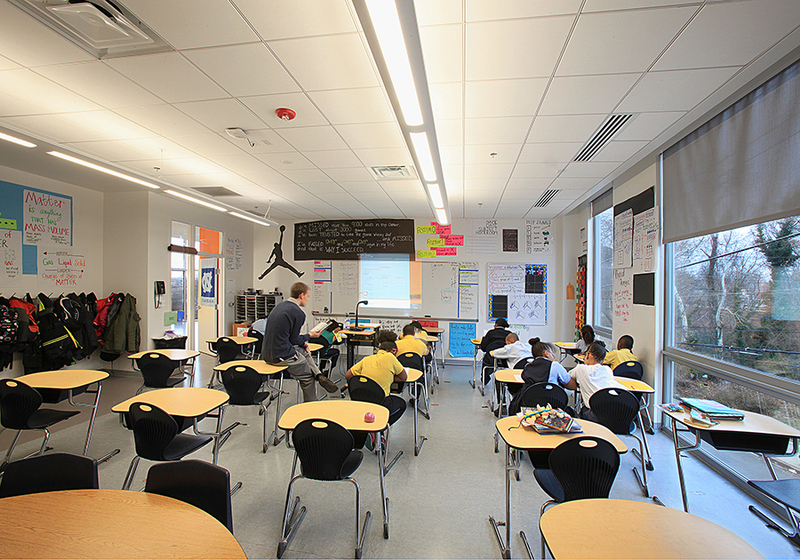 Students and teachers gather, exchange thoughts, sharpen their thinking and reach new plateaus of understanding. 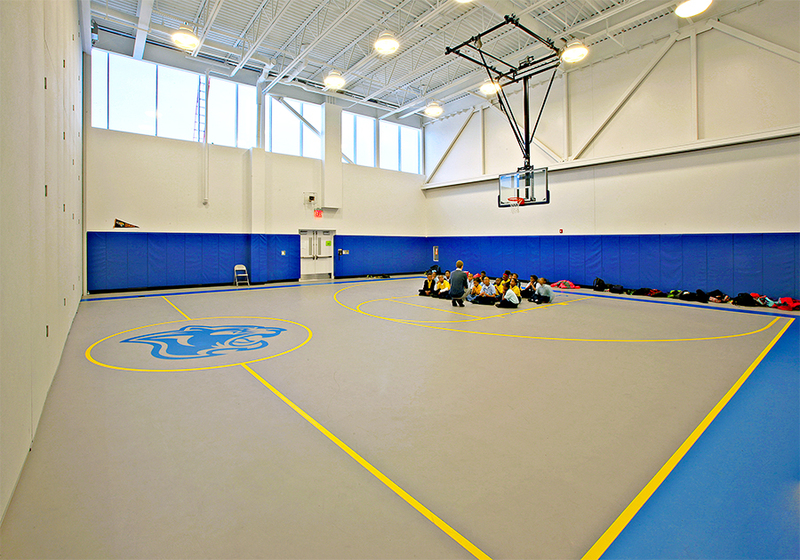 The Agora can be used for formal presentations with digital support, while the steps also serve as small meeting spaces and places to read. 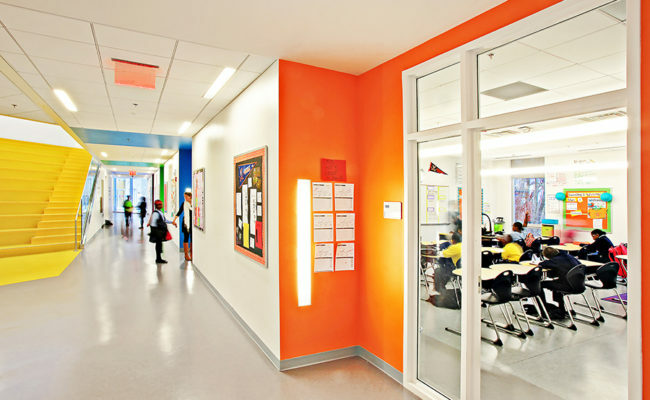 It is a place where social and academic interaction happily coexisting. 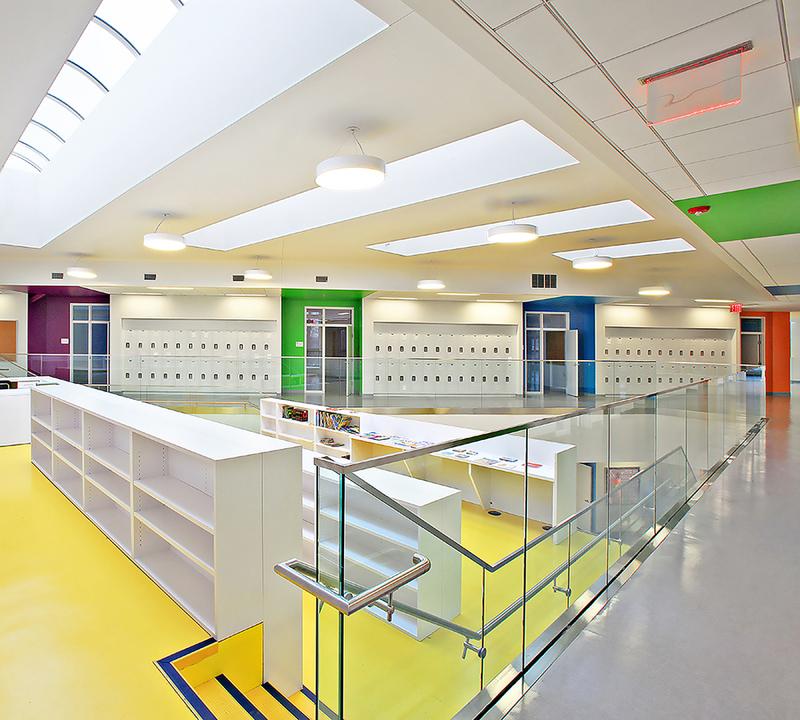 Architecture brings back the values and venue of ancient Greek learning for these young students. 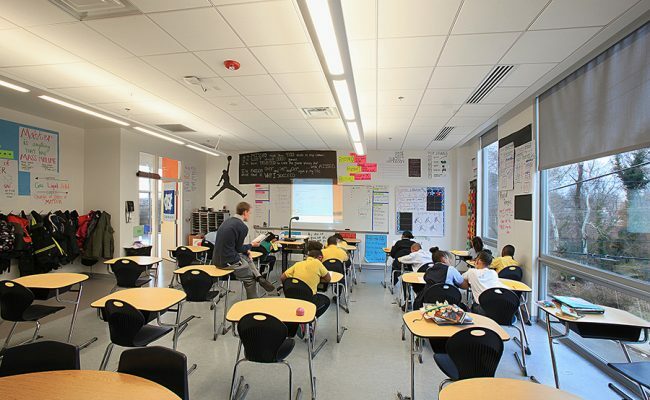 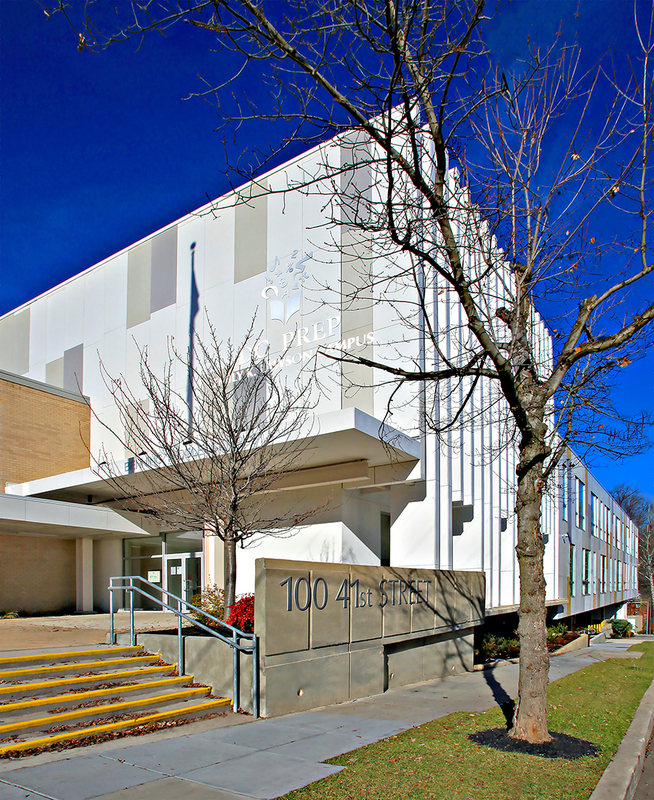 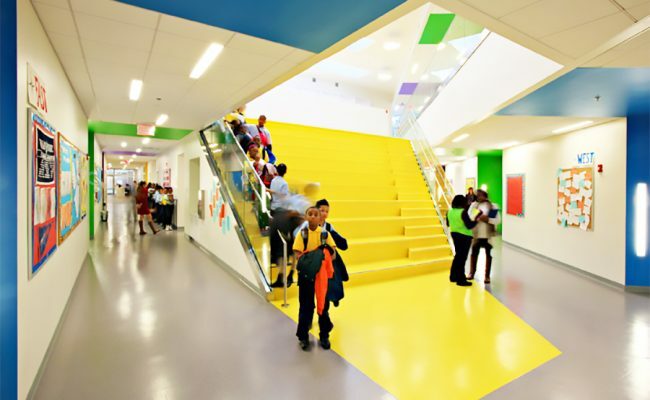 DC Prep Benning School was selected by the AIA DC Chapter to be exhibited as an example of innovations in K-12 Learning Environments: Building Tomorrow’s Schools’ Exhibition, October 2015. 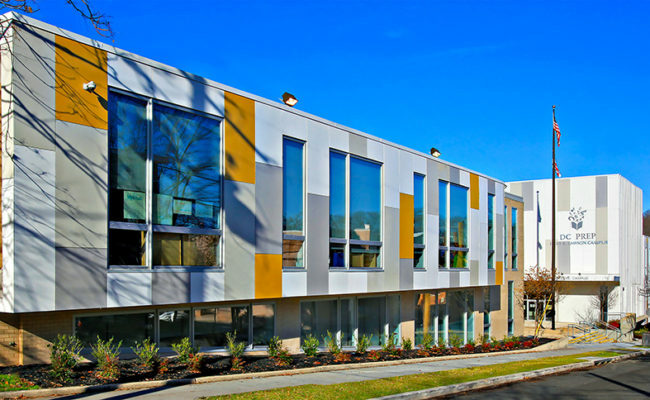 It was one of only twelve such projects awarded internationally.